Welcome to the Monoprint section of the Archives. Here we’ve gathered together all the content we have that features monoprint. You’ll find video workshops and inspirational blog posts with lots of ideas and information to help you create some wonderful monoprints. Monoprint is one of our favourite techniques. Why? Well because it’s so versatile, immediate and easy to get started with. You can monoprint onto paper, sketchbook pages and fabric. You can use printing ink, fabric paint or acrylic. You can work in colour, black and white, in a painterly way or with a linear, graphic style. You can incorporate the use of stencils, stamps and natural materials. The prints you make might be complete artworks in their own right, or you might be printing to make papers for collage. Perhaps you’ll use monoprint in your sketchbook as the basis for exciting pages. Or maybe you’ll print on fabric to create beautiful cloth for your quilts, garments or stitched textiles? You’ll only need simple equipment to get started and in our video workshops we’ll guide you through the processes to achieve great results. 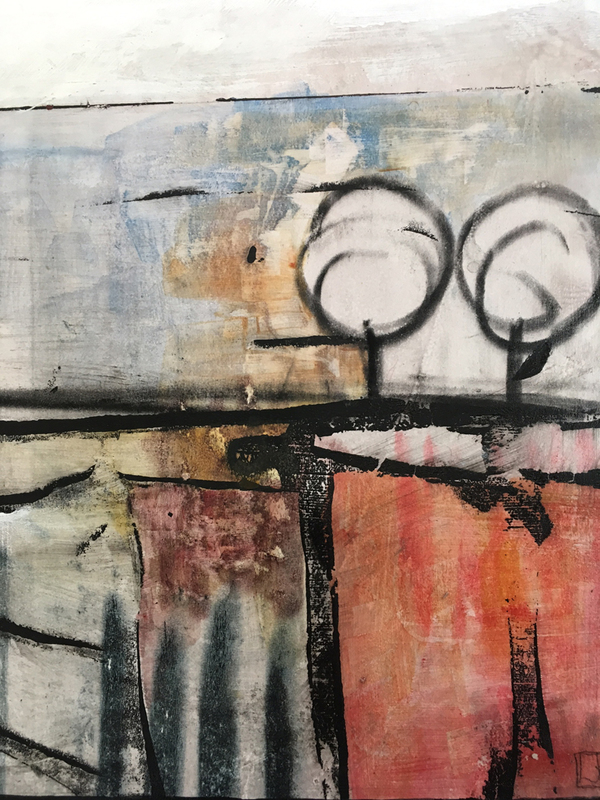 If you’re new around here, a great place to start is our free Exploring Monoprint workshop. Enjoy. 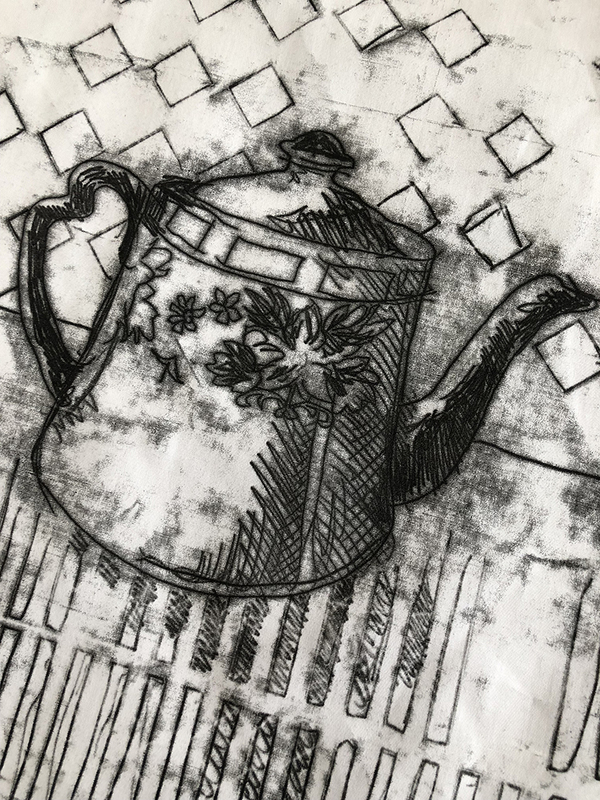 Work with Laura to explore monoprinting methods including how to use paper stencils to print on fabric and paper. She'll show you how to make a series of sequenced prints. Next work on a landscape design on fabric with a central scene and border design. Add stitching by hand and machine to complete your mini quilt. 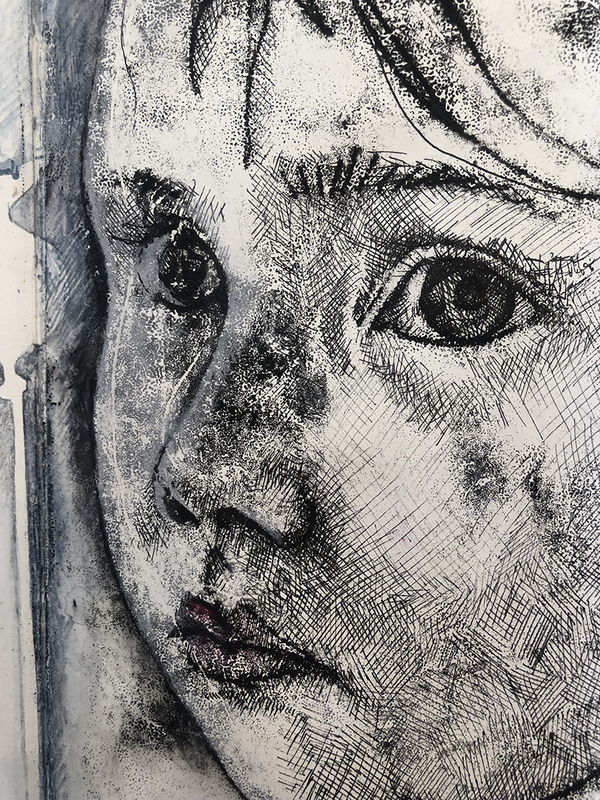 Explore the potential of monoprinting techniques. The Monoprinted Moths are Multiplying! See how Linda has incorporated her mono prints into her latest two quilt tops. She explains how she's tackling the quilting. We'd had a screen printing session at Laura's studio during the holidays and it reminded me I'd got a heap of prints I'd made ages ago. I loved this combo print of screenprint and monoprint. A traveller's journal or notebook is an ingenious idea of a refillable cover which can hold a range of booklets. In this collection of workshops we'll show you how to make your own beautiful fabric cover and binding. Next you'll learn how to make booklets to pop inside and we'll share ideas of what to fill it with! DMTV Archives contain some free content and some paid-for video workshops. You can choose to buy a video workshop collection at any time and it’ll be added to your account with unlimited viewing access. For more information or advice please visit the Help page.